It’s not often that someone has the great idea to create a billboard that dispenses a sparkling glass of Prosecco at the push of a button. Even more shocking is when they put the billboard in the trendiest spot in London and invite the public in to have a free tipple. But that is exactly what DELTA AIRLINES did to celebrate the launch of their new complimentary Prosecco for all cabins campaign. The MABINOGI TEAM were tasked with 3 major challenges to capture and amplify the reach of this campaign launch. Not only were all three a smashing success but the Prosecco warp party was pretty darn tasty as well! Fast and furious, this teaser is shot and cut on the same day / night. The extreme deadline leaves little room for error so an experienced team like Mabinogi are crucial to delivering on time. From 7 am – 11pm the crew worked in shifts to get the cut signed off. It was then immediately delivered to the newspapers and social media influencers to spread the word of the official launch the following day. All the major newspapers ran the video content generating tens of thousands of pounds worth of FREE advertising! Motion Text / Graphics – often videos are started without sound so moving text helps set up the video. Once the viewer hits the audio – you’ve captured them! They are now invested and engaged. 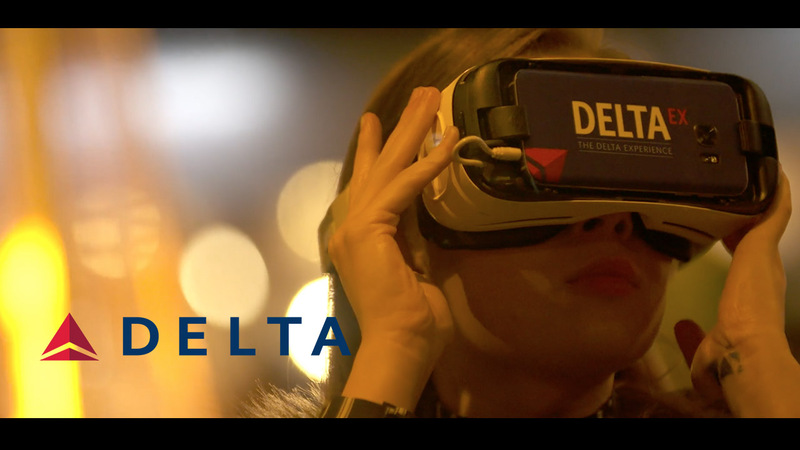 Destine for DELTA’s social media hub page as well as an in-house message for cabin crews about the excitement being generated by the Prosecco promotion. The shear pleasure and surprise on both the public and the Delta team is evident in every shot. Actors are great, but you can’t get better publicity than genuine reactions like this. The public trusts the public. These single shot wonders, hit all the key notes and are perfect for sharing on Instagram, Twitter and Facebook. Live events and product launches go hand in hand. The key is to get your video and marketing team on board early to plan and coordinate the timing and creation of your video assets. Providing free content to the established press (print, online and network) as well as social media influencers (instagram, twitter) is a great way to stretch your marketing budget and capitalise on free publicity. No need to pay for ads! Let social media do it for you.